Now that you have decided to embark on an elimination diet for yourself or your child, there are a few things that I would like to cover. Remember why you are doing this and what you hope to gain. This isn’t a fad diet. This means to research why you are choosing this elimination diet and to take the time to understand and commit to it. If your head is not truly in the game, your chances of successes are minimal. Your health is at stake, educate yourself on why the foods you have been consuming may be the root (or aid in symptoms) of chronic issues. Clean out your pantry and refrigerator and start from scratch. Many seasonings and packaged items that you may think to be harmless are full of flavorings and other products not allowed on your elimination diet. 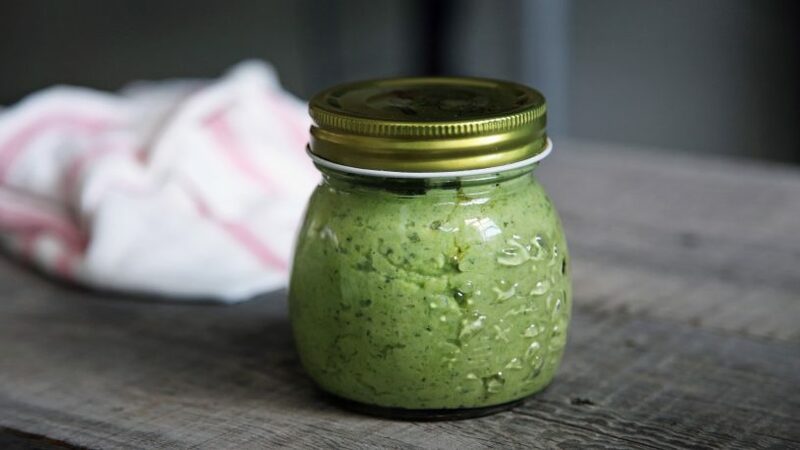 Find a few easy to prepare, easy to cook, and easy to clean up after recipes as your staples. The key is not to replace your current diet’s unhealthy foods with a diet-friendly version, but instead, try new foods or learn how to prepare things in new ways. If eating out was a go-to, preparing lunches for the week ahead of time will keep you on track. If dinners are always a last-minute thought, utilizing a slow cooker or pressure cooker may help you out. You can wash, chop, and portion foods after your grocery trip to make them easier to grab for meals throughout the week. You need to write down your food consumption times and ingredients. You should also include your mood, sleep patterns, and ailments. You will be able to start seeing a pattern throughout your elimination diet that will help you to decide what foods are safe and which are trigger items. Are you entering this elimination diet alone? If a friend or family member is also on board, it will be a bit easier to stay motivated. But it’s completely doable to sail these seas solo, too. It is, however, important to have support. This means that your spouse or family should avoid eating your biggest non-diet foods in front of you. They can help you choose meals, talk with you about your experience, or simply cheer you on. Talking with others who have been through an elimination diet is also extremely helpful (and motivating). When hunger strikes, food needs to be available. Keep high protein, diet-safe snacks premade and portioned and ready to grab. Toss some in your bag and pack a few for work (or school for a child). Visit the grocery store when needed to replenish fresh produce and other daily staples but stick only to what is on your list and avoid aisles filled with foods you are avoiding. Remember that this is not a weight-loss diet. If you cheat early on in an elimination diet, you will have to start from day 1 again. You will have to give the body time to detox from the consumed items. An elimination diet is done to learn the foods that trigger your ailments. Once you hit ‘baseline’ for a few weeks, you will be allowed to add back in items one at a time. From that point, you will know what triggers your body. Then it is up to you to either limit or permanently eliminate them from your daily life. The first two weeks will be hard. I am not lying here. The body will go through a detox with headaches, mood swings, and exhaustion, especially if your previous diet consisted of highly-processed foods and lots of sugar. Push through and stay strong. Your body needs to be cleaned out so you can become the healthiest you possible. The detox period does end, and you will feel better. You should even start feeling great. Your energy should increase, sleep should be easier, and your mood should improve. Some people feel so good that they become scared to reintroduce foods at the end of their elimination diets, but remember that you want to learn exactly what’s negatively affecting you. Knowledge is power, don’t be afraid to gain this knowledge. You do not have to explain your choice to anyone, but if someone genuinely is interested in learning about your journey, you can share whatever you choose with them. That being said, you have the right to tell others to worry about what’s on their plate not what’s on yours. Talk to his teacher prior to beginning the diet. Let her know why you are doing this and ask her to please follow your food guidelines while he is under her watch. This goes for any childcare provider, including family members. It started off as a pink trend. Grocery stores started stocking their shelves, and customers started buying up the pretty pink salt, but other than a few ‘it’s good for you’ rumors, no one really knew anything about this aesthetically pleasing salt substance. It comes in cooking form, slab form, stone form, and lamp form. But what is ‘IT’ and where does it come from? True Himalayan salt is mined from within the Himalayan mountains that stretch through Asia, China, and India. Crystalized sea salt beds that formed within these mountains were covered in lava millions of years ago. This lava protected the sea salt from millions of years of pollution, bacteria, and ruins. It basically kept it in pristine condition. Now the red, pink, and white salt can be found just about everywhere. Let me be clear before I start informing you on the benefits of Himalayan salt, cooking with or on this salt, utilizing the stones, and places the lamps in your home will not be a cure all to anything. We tend to be a society driven by quick fixes, and this is not one of them. The benefits to Himalayan salt are real, but (like any and all-natural solutions) it takes multiple interventions, therapies, and lifestyle changes to truly impact your life. 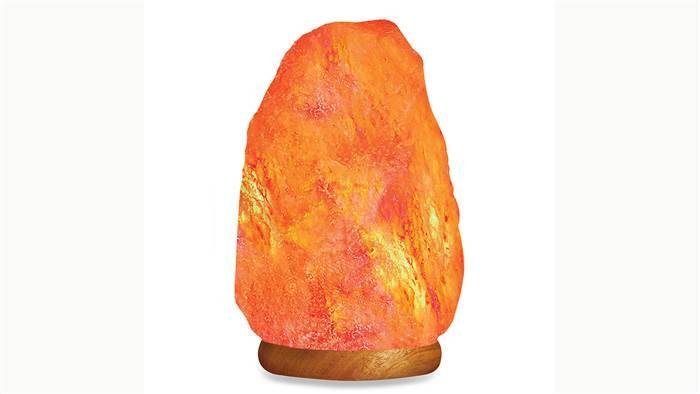 I absolutely enjoy having salt lamps around my home and office, and I believe that you should invest in a few as well, but please take the time to dig deeper into your health and mental state of mind to find other ideas to pair with the salt. Himalayan salt is only a small addition with great benefits that should be made to your life. You will find many blogs and articles saying these benefits are tied to the minerals but not the salt itself. I beg to differ, as most natural remedies are often described in this manner. Again, depending on your main complaints, you should include healthy lifestyle changes in combination with the Himalayan salt. Bathing: The skin soaks minerals through the bath water; this can be more effective than ingesting them! Using Himalayan salt in the bath tub allows the body to absorb the nutrients in the best way possible. Salt Lamps: While a single salt lamp will not purify your home, paired with an air purifier, the lamp should effectively help send negative ions into your air, impacting your focus, mood and health. Salt is hygroscopic, which means it attracts water molecules from the air. These microscopic compounds remain on the salt and not floating in the air where you would have been breathing. The heat also dries these particles and rereleases water into the air with negative ions. Every few weeks, it’s good to turn off your salt lamp for an hour, let it cool and then gently rub it with a damp cloth to clean away trapped dust and particles. The rest of the time just leave it on and let it work to clean the air in your home. Salt Slab: These can be used hot, warmed, room temperature, chilled, or frozen. You can serve any and all food types on the slab, as it enhances taste and mineral content within the food. It is naturally anti-microbial, so clean up is easy. Cooking: Himalayan salt is used just as table salt is – it’s an even substitution. Neti Pot: A salt water rinse of the sinuses can help with allergies and illnesses. Using Himalayan salt kills bacteria and bonds to many contaminants that may be stuck in your nasal cavities due to breathing polluted air. I am not about to start a food blog here! (Although, Manuka Honey is absolutely delish!) I want to introduce you to the amazing powers and benefits of having Manuka Honey in your medicine cabinet (or kitchen) at home. Long before the days of Neosporin, there were natural solutions to most scraps, burns, wounds, sore throats, and infections. Over the decades, we have drifted away from these solutions looking in favor of man-made, chemical-filled, toxic answers. Why? Because doctors tell us we should. But times are changing, and our society is beginning to question more, research deeper, and demand healthier options. As with most products on shelves, there are several options to choose from, and most of the time, you get what you pay for. This is no exception. The highest quality, most beneficial Manuka Honey will cost more, but it will last you quite a while. Manuka Honey is one of nature’s most powerful medicines. It comes from New Zealand, made from bees that pollinate the native Manuka bush. Only those specific bees in this specific region of New Zealand can create this powerful honey. It is then tested and verified by independent labs for its properties and exported all over the world. It is the Methylglyoxal (MG) compound that sets Manuka honey apart from other types of honey. MG is much more stable than hydrogen peroxide and doesn’t lose its antibacterial properties. It is this element that provides the benefits listed below, but not all Manuka Honey is created equal. There is a UMF number found on each brand and jar of the honey. This is the Unique Manuka Factor, and it is extremely important when purchasing your honey. It tells you the antibacterial power found within that honey; the higher the number, the more powerful the honey. While UMF 1+ to 10+ holds benefits, they are not more beneficial than your average local honeys. Looking at a UMF of 10+ to 15+ is better, and will provide benefits, a Manuka Honey of UMF 16+ or higher is what you want to find. How can Manuka Honey benefit you? Research shows Manuka to be effective against over 60 species of bacteria, and can be used topically on wounds and infections. It is quite effective as a wound dressing to promote fast, improved healing. Methicillin-resistant Staphylococcus aureus (MRSA) is more commonly known as the ‘Super Bug.’ Due to the antibiotic overuse and drug ineffectiveness within our society, we have caused certain strains of Staph to become so powerful that the only option is surgery or other ultra-invasive solutions and medications. Research has found the Manuka Honey can combat the strongest, most threatening genes of the MRSA bacteria. When a higher concentration of Manuka honey is used, it is able to effectively treat the major wound-infecting types of bacteria. If antibiotics are used, Manuka honey can help them be more effective and even reverse antibiotic resistance. Research shows that Manuka Honey can actually cure a sore throat as it can inhibit the bacteria causing a Strep Throat. More recently, it has even been approved by the National Cancer Institute to be used to heal inflammation in the throat from chemotherapy. Clostidium Difficult is a dangerous bacteria related to intestinal imbalances. Manuka Honey is an effective way to defeat this bacteria. Taking Manuka Honey can reduce reflux and rebalance the digestive system as a whole, healing stomach issues. Clinical trials have also shown that Manuka honey has a positive effect in the treatment of various cancer tumors. The honey was effective in inhibiting the growth of cancer cells and also proved to increase the effectiveness of conventional cancer treatments. While no studies have been performed yet, the testimonies speak for themselves. Topical use of Manuka Honey seems to cure acne and eczema; leave the homey on for 10 minutes and then wipe off – repeat daily until healed. Research shows that Manuka Honey drastically reduces the pain from a burn, speeds healing, and can prevent infection from occurring. The rich anti-oxidant, anti-inflammatory, and anti-bacterial properties of Manuka Honey can prevent infection in people with venous ulcers. This powerful honey has been shown to improve oral health and prevent gingivitis. One study showed that chewing on Manuka Honey for 10 minutes, 3 times a day, can reduce tooth plaque and bleeding gums. Because Manuka honey is an effective antibacterial, anti-fungal, and anti-inflammatory topical treatment for skin problems, it is also excellent for treating shingles. One study showed that Manuka Honey was able to treat the virus that causes shingles. IBS and IBD plague many in our society without medical reasoning to support why. I believe it to be an unbalanced gut, as the gut health is what controls most bodily issues. No studies have been performed involving IBS and Manuka Honey, but in clinical trials involving IBD, researchers found that Manuka Honey reduced inflammation in the colon. It is safe to believe the testimonies about the positive relationship between Manuka and IBS as well. Manuka Honey is naturally 4x stronger than any other honey, and is rich in fructose, amino acids, enzymes and B-complex vitamins, particularly thiamin (B1), riboflavin (B2), niacin (B3), pantothenic acid (B5), and B6. Its mineral content includes calcium, phosphorus, iron, zinc, copper, sodium, potassium, magnesium, and manganese in various amounts. Even when you lead a healthy lifestyle, sickness happens. Of course, it is best for our bodies to be prepared to fight off any bad bacteria, but sometimes we need help. It is so easy to pull into to the drug store and grab the most promising over-the-counter product, but is it the best option? What about for our children? I cannot explain how often people ask me about my home ‘medicine cabinet.’ They want to know if I secretly have a stash of some cure-all product. They want to know what to have on hand when sickness invades their home so that they can avoid the dye and chemical-filled medicines down the street. With a world of homeopathies and natural remedies, what works? What items are helpful for what ailments? What is worth keeping on hand? Oils? Pellets? Foods? 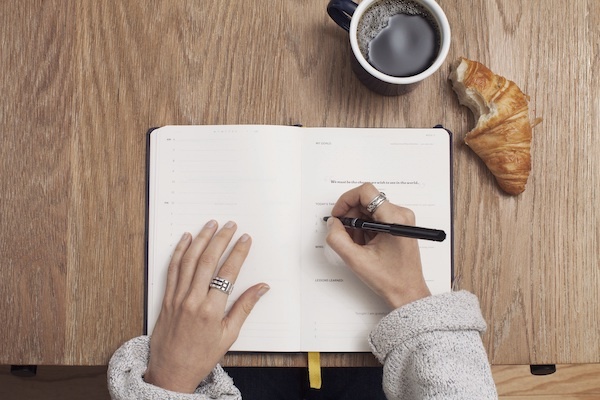 The list is never-ending, and no one seems to just give you a list of what to use and when. *Remember that with homeopathies and natural items, they can be taken in combination with one another, but it is not necessary. You can alternate these throughout the illness or stick to only 1-2 of them. I want to give you options to find locally or order within your budget. Celletech’s Winter Balance (remedy) and Winter Tonic (prevention) taken weekly and then continuously at the onset of flu symptoms (These products are wonderful and worth researching to add to your medicine cabinet – read more http://celletech.com/about-us.html ). Oscillococcinum – pellets can be dissolved in water for fastest relief. Bioron Gelsemium Sempervirens 200C – 3-4 pellets dissolved in water repeated until symptoms subside. Aconite: watery runny nose, sneezing, headache; early stages of croup. Arsenicum: profuse watery nasal discharge, nose feels stopped up, frequent and violent sneezing; nasal discharge may be thick and yellow; dull throbbing frontal headache; cough from deep in chest. Bryonia: dry, painful, spasmodic cough, worse with deep breathing, eating, drinking, in warm rooms and during the day; better from the open air. Hepar sulphur: rarely used in the beginning stages; cold may have started with watery, runny nose, but now nasal discharge is thick, yellow and may be bad smelling; sneezing at the slightest exposure to cold. Kali bichromicum: used during later stages of cold; discharge thick, yellow or greenish, and stringy, difficult to remove from nose; thick post-nasal drip; sinus headache. Nux vomica: illness after exposure to cold or cold dry weather; onset not sudden; dry, tickling and scraping sensations in nose; nose stuffy and dry at first, then develops a watery and often irritating discharge with sneezing; nose may alternate between stuffed up and runny. Spongia: loud, dry, barking cough and hoarse, rasping respirations; breathing sounds like saw being driven through a board. Activated Charcoal Powder: This is amazing and has multiple uses, but for upset stomach, diarrhea, food poisoning, vomiting, etc it cannot be beat. Coconut Oil: The uses are endless. Magnesium: Cramping, growing pains, and so much more. Research shows that magnesium (Epsom salt) in the bath can help the body fight illness. Manuka Honey UMF16 or above (and goldenseal mixed as a paste on wounds): Acne, burns, sore throat, allergies… This can even work on an early staph infection! Talk about powerful. Colloidal Silver: Any sign of infection can be battled with Colloidal Silver. It can be used on open cuts, ingested, as eye drops for pink eye, etc. Raw Garlic: Nature’s antibiotic, consuming this can fight off illnesses. C Salts: My first line of defense for sudden constipation. Bone Broth: Keep a batch in the freezer to pull out whenever needed. Make sure to follow proper dosing and consult your primary doctor with questions. Medication is not the first resort. I have several clients who came to my practice with a medicine cabinet full of prescriptions to help them be ‘healthy.’ It’s funny isn’t it; how many drugs a person must take to counteract the problems occurring within the body? The truth is that these drugs typically act as a mask. They may lessen symptoms and appease doctors, but do they actually aid in solving the root of the problems? Let’s talk about what blood pressure is. 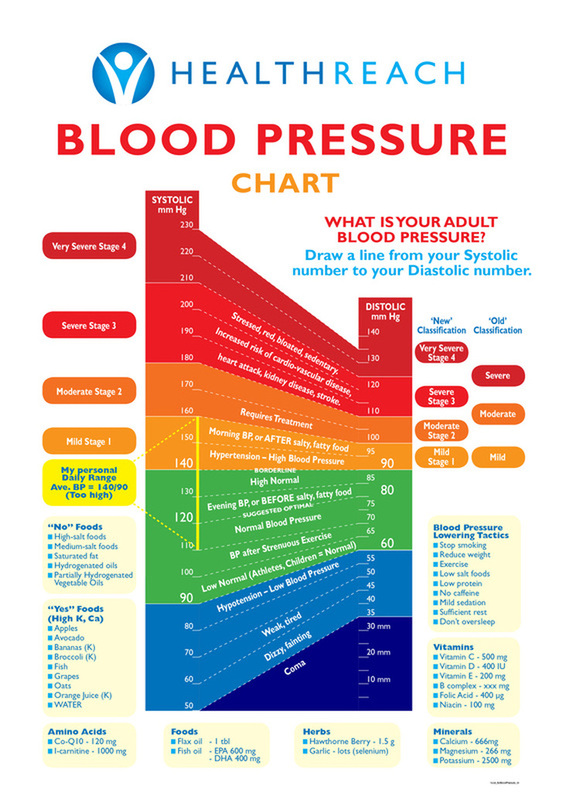 There are two readings you need to understand when having your blood pressure taken: Systolic (SBP: the higher number) and Distolic (DBP: the lower number). Your Pulse Pressure is the difference between these two numbers. While a systolic number above 140 (hypertension) places an individual at higher risk of problems, the greater the pulse pressure, the higher the risk factors become. There are many other reasons an individual may be experiencing hypertension, but altering the current lifestyle should help immensely. More than 15% of deaths today are linked to high blood pressure. Remember that hypertension triggers strokes, heart attacks, aneurysms, cognitive decline, and kidney failure. According to the American Heart Association 28% of Americans have high blood pressure and don’t even know it. Even if you are not actively hypertensive, it may be time to evaluate your lifestyle to see how you can prevent it from occurring in the future. NIH recommends the DASH diet rich in fruits, vegetables, fat-free or low-fat milk and milk products, whole grains, fish, poultry, beans, seeds, and nuts. Personally, I tend to recommend skipping anything labeled ‘low-fat’ or ‘fat-free’ and stick with real food, as opposed to altered, processed foods that contain food substitutes. Foods to avoid: alcohol, processed foods, sugar, trans-fats, caffeine, excess sodium. Several studies lead to the same conclusion: Chiropractic care, in combination with a healthy diet and lifestyle, can aid in lowering blood pressure. More research needs preformed, but from personal experience, I believe that these three categories (along with adding homeopathics, acupuncture, and supplements) will keep the medications far from your body. Did you know that there are two different types of happiness? These two traits are both defined as happiness, but only one is linked to positive well-being; while the other can have lifelong negative effects. 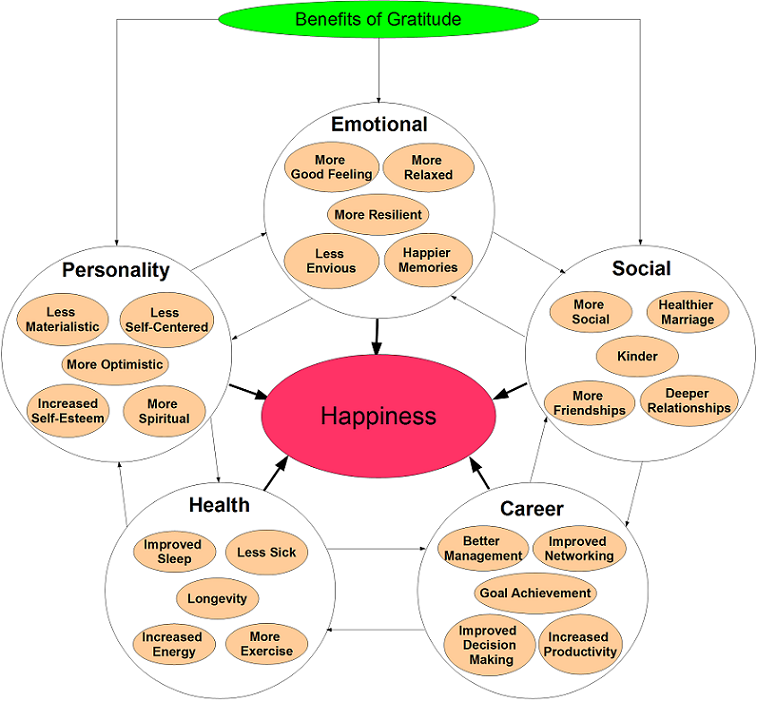 In the past few years, as the science has unfolded in linking eudaimonic happiness to health, I have often pointed my patients toward the published information. Too often, I see clients who take longer to shake a cold, those who get the flu year after year, and some who just never feel healthy. They all say that they are happy with their lives, but if they open their minds to this research and start seeking true joy, I tend to notice a huge difference in the way their body handles and maintains an adjustment. In 2013, Scientists from the UCLA Cousins Center for Psychoneuroimmunology and the University of North Carolina found that positive psychology (happiness) impacts human gene expression (our DNA). In a study that took over 10 years to conclude, researchers learned just how life-altering it can be when an individual reaches an overall state of happiness. Previous research had found that immune cells shift during extended periods of stress, threat or uncertainty. This shift is called the conserved transcriptional response to adversity, or CTRA, and it occurs when there is an “increased expression of genes involved in inflammation and a decreased expression of genes involved in antiviral responses.” But no one had looked at the emotion of happiness, and how it plays a role in the overall well-being of the human body. Happiness can prevent and protect us from illness and disease, and it help lessen the impact or heal those who are ill. In the last 10-15 years, research has been published that links eudaimonic happiness to lower heart rate and blood pressure, healthier heart rate variability, increased immunity, decreased risk of various diseases (such as coronary heart disease), and increased chances of positive health outcomes during an illness. A 2010 study found that for every additional point of happiness a subject earned during their research, their individual risk of heart disease decreased by 22%. What does this mean for those who fulfill their happiness by spending money and living a materialistically happy life? Simply put, it means the exact opposite of everything above. Instead of having low levels of inflammatory gene expression with high levels of antibodies and antiviral genes, their blood shows an hostile environment with high inflammation and low antiviral and antibody gene expression. This leads to higher risk of illness, chronic problems, and earlier death. The 2013 study included blood samples from 80 healthy adults who were assessed for hedonic and eudaimonic well-being, as well as potentially confounding negative psychological and behavioral factors. 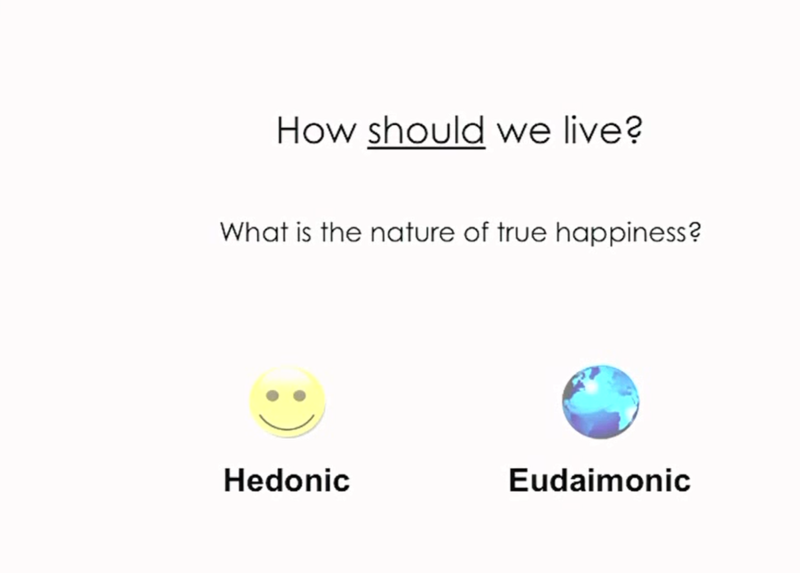 The outcome not only taught us that eudaimonic happiness alters us at a cellular level, but researchers learned that both types of people (eudaimonic and hedonic) expressed the same levels of positive emotion. This means that just feeling happy is not what alters our genetic makeup; it is the happiness that occurs when we are doing good in this world that makes us healthier. Take this as your inspiration to start working towards your own true happiness. You will thank yourself later. Dr. Gary G Kohls, a retired holistic physician, has just released an article on Global Research entitled: Mitochondrial “Collateral Damage” Thanks to Big Pharma – Iatrogenic Drug and Vaccine-induced Mitochondrial Disorders. After reading this article, I immediately knew it needed to be read by you, and by everyone. As a chiropractor, I agree whole-heartedly with this research and the conclusions that are made, and I cannot begin to explain just how many patients I have seen who have, or are still experiencing a condition caused by a medication. The research cited in the article shows that the ingredients in the following drugs and vaccines are making us sick. We are a walking toxic-filled, chronically ill society, and it is time to pull the blinders off. To statistically rank as having the most persistently-ill people (infants, children, and adults) in the developed world should be triggering alarms, but it is not. And why? The makers of these drugs intend to keep us sick; it benefits them. But it is not okay. It has never been okay. It seems to be a catch22, needing medication because you are ill, but the medication is linked to an illness. But realizing that a vaccine from childhood, a round of drugs prescribed years ago even could be the cause of the disease. It is possible, though to screen for mitochondrial toxicity as part of the preapproval process before a medication is approved to be distributed. This could aid in preventing so much of what our society suffers from. Healing diets need to be researched, as they can decrease toxic effects of these ingredients. Nutritional therapies also need to be further researched. There are pros and cons to every decision a person makes, including choosing to vaccinate a child or themselves. Accepting a medication is also a choice. Again, weighing pros and cons with these choices. Improving the gut and overall health of our infants, children, and ourselves, as well as spreading factual information as to why this is important, can call play a role in future statistics. Understand that knowledge is power. Please take the time to read the original article, educating yourself and others. Then begin questioning and researching things for yourself; informed decisions are the best decisions anyone can make. You may be risking your life for a good night’s sleep. 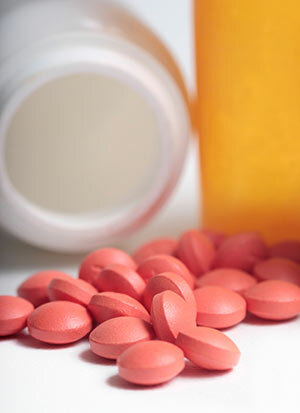 There are two different categories of sleeping medications: Over-The-Counter (OTC) and Prescription. I’m going to talk to you about the risks of both, beginning with OTC. OTC sleep aids may seem to be an easy fix, not addictive like prescription versions, and even safe because they are made so readily available. This is not the case, is it ever these days? If you are not sleeping well, or not falling asleep well, there is a deeper issue at hand. Finding a natural, healthy solution to the rooted issue will not only solve your sleeping troubles, but improve your overall wellbeing. OTC Sleeping Pills May Increase Your Risk of Liver Failure and are linked to brain damage. The numbers are alarming, over $100 million or more is being spent on OTC sleep aids, and research shows that children 12 years and older along with adults are downing these medications like candy. Appetite increase, weight gain, loss of appetite, or even anorexia. Hypo-tension (abnormally low blood pressure). Morning hangover. Waking up groggy and feeling “drugged” is a common side effect. Daytime drowsiness and fatigue. OTC medications tend to last longer than 8 hours, leaving you unable to function well throughout the next day. Benadryl and Sominex have previously been found to cause hallucinations in the elderly. All of the listed OTC drugs can negatively affect your brain, causing long-term cognitive impairment. These drugs, called anticholinergics, block acetylcholine – a nervous system neurotransmitter. Those suffering from Alzheimer’s disease typically have a marked shortage of acetylcholine. The results of some studies indicate that these drugs with anticholinergic effects may be yet another piece of the puzzle that might explain the sharp rise in dementia and cognitive decline. Other anticholinergic drugs, such as Paxil, Detrol, Demerol, and Elavil are available only by prescription. “Research involving data from more than 10,500 people who received drugs for poor sleep (hypnotics) showed that “as predicted, patients prescribed any hypnotic had substantially elevated hazards of dying compared to those prescribed no hypnotics” and the association held true even when patients with poor health were taken into account — and even if the patients took fewer than 18 pills in a year. Not only are prescription sleep medications linked to increased risk of death, but they place you at a 35% higher risk of cancer. Whether you are not able to fall asleep, wake up too often, or don’t feel well rested when you wake up in the morning, these options may provide you with techniques to improve sleep problems. There are many factors that can influence your sleep, but one that many fail to consider is the use of lights, such as your TV, iPad, and computer, before going to bed. These emit the type of blue light that will suppress melatonin production and hamper your ability to fall asleep. Ideally, you’ll want to turn them off at least an hour prior to bedtime. Cover your windows with blackout shades or drapes to ensure complete darkness. Consider using a Himalayan salt lamp. It will give off a soft red glow, purify the air, and help you rest easier. Check your bedroom for electro-magnetic fields (EMFs).These can disrupt your pineal gland and the production of melatonin and serotonin, and may have other negative effects as well. 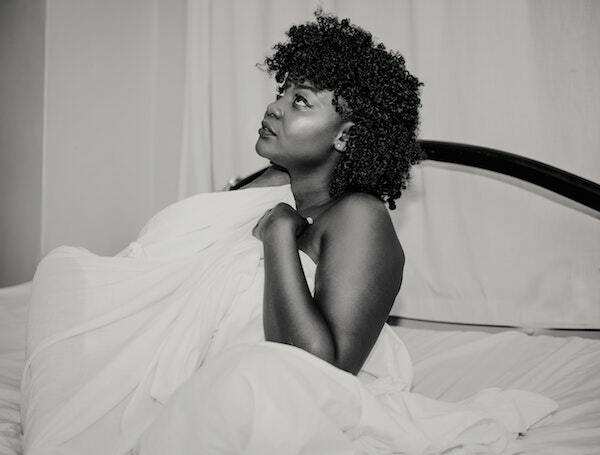 Natural sleep aids and insomnia treatments such as cognitive behavioral therapy take time to treat this sleeplessness, usually a minimum of several days or weeks. It takes time and hard work to learn how to sleep if you have insomnia. Chiropractic care and wellness adjustments will help you to relax. It also improves the blood flow in the nervous system and corrects any misalignments, or sublaxations in the spine. These subluxations compress the nerves and cause lack of communication between the spine and the brain. These subluxations lead to a process called stress response which puts the body out of balance and do not let the body rest. Avoiding gluten, grains, dairy and sugars will lower your insulin and leptin levels. Elevated insulin and leptin levels are one of the most important reasons why inflammatory prostaglandins are produced. That is why stopping sugar and sweets is so important to controlling your pain and other types of chronic illnesses. Omega-3 fats (Like Krill Oil or Fermented Cod Liver Oil) are precursors to mediators of inflammation called prostaglandins. B vitamins are important for energy production in cells. And vitamin B6 works with the sleep aid 5-htp to help create serotonin. Adequate calcium and magnesium in your daily diet are also important nutrients for helping you relax and get a good night’s sleep. But according to the U.S. Office of Dietary Supplements, millions of Americans are not getting adequate amounts. Magnesium in particular may help with fatigue and stress reduction. Multivitamins almost never contain much calcium or magnesium, so you may need to supplement if your diet is lacking in these two essential nutrients. You should also make certain you are getting at least 400 IU of vitamin D3 every day (1,000 IU supplements are even better, especially during the dark winter months). Vitamin D is important for calcium absorption. Make sure to use high quality supplements. A melatonin sleep aid can be very effective for some people, especially for jet lag. Melatonin can be taken by itself as a natural sleep aid. It is also often seen as a blend in supplements, which may be the most effective way to use it. Also known as 5-hydroxytryptophan, this substance is produced in the body from the amino acid tryptophan. In supplements, 5-htp often comes from Griffonia simplicifolia seed extract. 5-htp is a precursor to serotonin and increases serotonin levels in the brain. Serotonin is an important neurotransmitter that has many functions, one of which is to regulate sleep. One of the great things about 5-htp is that it crosses easily from the blood into the brain. That’s why 5-htp taken by itself may be effective for reaching a natural calm mood and also help with depression. As a natural sleep aid, it’s probably best to use 5-htp as part of a supplement blend. This brain neurotransmitter is included in some natural sleep aids because it has a calming effect and relieves anxiety that can keep a person awake at night. GABA does promote drowsiness and may help some people fall asleep faster. This is the most abundant amino acid in your body. It has a wide range of uses, including for insomnia, anxiety, and to improve mood. The best natural sleep aid will have some combination of sleep herbs in them. Not all of these herbs need to be present for an all-natural sleep aid to be effective. Most herbal sleep aids will also often have melatonin mixed in with them, though not always. I love this practice!! It is refreshing to have a medical professional actually take time to listen and work with me to find the source of medical issues I've struggled with for years. Thanks, Dr. Brenda, and everyone in your office, for being so great at what you do - helping people live healthy lives!! Cheryl M.